CANâT WAIT TO BUILD THAN THIS IS FOR YOU!!! * BRAND NEW*NEVER LIVED IN YET* MANY UPGRADES*PREMIUM OVERSIZED CORNER LOT ALREADY PARTIALLY FENCED*PRICED FOR IMMEDIATE SALE- Waterset is a Stunning Apollo Beach community with world class amenities. The Heron II floor plan by West Bay is a two-story home 2417 htd sq ft with 4 Bedrooms 2-1/2 baths PLUS DEN/OFFICE AND BONUS ROOM. 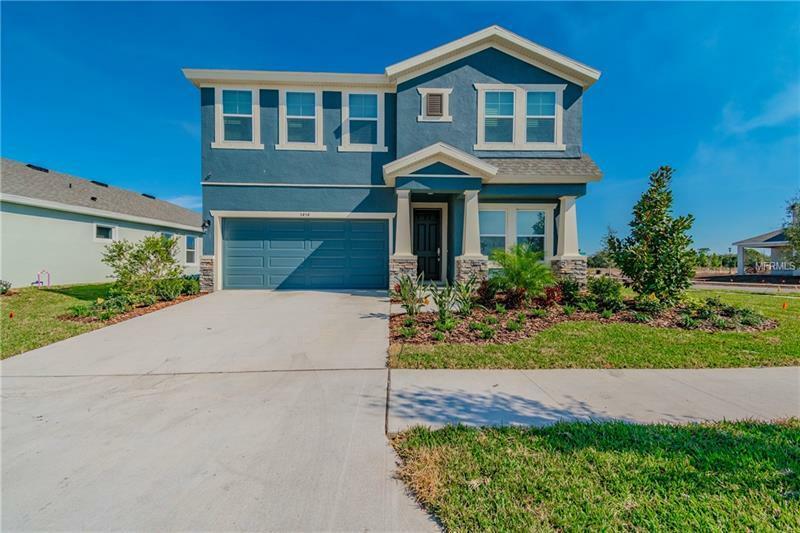 Natural Gas Stainless Appliances Wood Cabinets crown topped Vented microwave Large island with Breakfast bar Granite counters and Tile Backsplash Low E insulated double pane windows and Certified Energy Star 3.1 rated home. COMMUNITY AMENITIES INCLUDE: A Picturesque 32-acre lake jog the 4-acre fit trail have a picnic in the park enjoy the Grand Lawn community gatherings relax at the Pool play on the two playgrounds play sand volleyball basketball tennis or pickle ball; there are many outdoor activities at Waterset even a park for your furry family members. The clubhouse has a fitness center game room and gathering space for parties.